With all the uncertainty that accompanied the sale of our home, Yaman Real Estate helped us through the process with the utmost consideration, understanding and professionalism. I would, and have, recommend Yaman Real Estate to my family and friends! From looking at homes to closing & everything in-between, being from out of state we needed local help, and Yaman was there from start to finish. Our experience with Yaman Real Estate has been wonderful! After relocating several times due to my husband’s work,Yaman Real Estate has been one of the most positive experiences we have ever had in our many real estate dealings. The commitment, dedication, and high level of professionalism in the real estate industry is to be commended and I would highly recommend Yaman Real Estate to family and friends who might be interested in buying or selling a home. Picking Yaman Real Estate, after careful consideration of other options, was a great decision. The guidance and recommendations, speedy action to get the property listed, properly priced, and marketed, was critical to our quick sale. From beginning to end, they were thorough, prompt, and committed to satisfying our needs. We couldn’t imagine working with anyone else and we are certainly glad that we chose Yaman to assist us with buying our first home! At Yaman Real Estate, we have great love for, and a strong commitment, to Central New York…and we want to share it with you! For over the six decades, Yaman Real Estate has been at the heart of the real estate industry in the Central New York region. Third generation owned and operated, Yaman Real Estate is now stronger and more equipped to service our clients needs than ever with a keen focus on creating the highest quality and premium service available for their clients. Proudly built on the core principles of founder Jim Yaman of integrity, pride, and personal service, Yaman Real Estate is committed to providing the first time home buyer or experienced investor with useful information on how to choose the right property, make an offer, negotiate, obtain financing, and more. As well as working with sellers to obtain the best price possible with the least inconvenience during their time on the market. 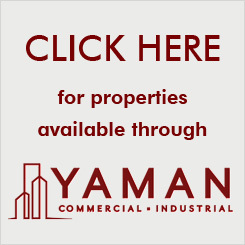 Yaman Real Estate has been the pioneer in assisting businesses in their search for a suitable location or sale of prime commercial property. Suburban Agway Energy Services, Gutchess Lumber, Pall Trinity, and the State University of New York at Cortland are among Yaman’s many impressive clients comprised in our commercial portfolio. Our website offers easy access to homes in the location of your choice and your price range. Our professional team of agents will gladly assist you in making an informed decision about your real estate transaction. We at Yaman Real Estate are proud to be your one-stop source for Central New York real estate information, and we are excited to continue building on a legacy that has made the Yaman name one synonymous with excellence.